August 11, 2015 / Toronto, Canada – At a June 23rd meeting of the Directors and Secretaries General of the WBU in Prague (the Czech Republic) the WBU position on Spectrum Allocation, which will be discussed in the forthcoming World Radio Conference (WRC-15) later this year, was strongly reaffirmed. The WBU does not support any change to the current spectrum allocations at UHF frequencies (470 – 694/ 698 MHz). Contiguous spectrum should be allotted in the bands assigned to the broadcast service to allow for the robust delivery of high-quality media content, data and signaling that meets or exceeds the capabilities of current fixed and mobile reception and display devices as well as those that are expected to be deployed in the future. The WBU does not support any change to the current spectrum allocations at C-band or extended C-band frequencies. The use of downlink spectrum allocated at C-Band (3.7 – 4.2 GHz) or extended C-band in the Fixed-Satellite Service (FSS) is essential to broadcasters’ operations around the world. Systems employing this FSS band have been extensively deployed over decades, primarily for the distribution of content from network centres to affiliated stations, cable head-ends and to other receiving systems. This WBU position has been supported by spectrum studies both at UHF and C-band frequencies which have demonstrated that major interference to broadcast operations would result from sharing in these bands with IMT. These studies have been filed with the ITU. The WBU will continue to participate actively in spectrum studies of the radio- frequency bands both assigned and associated with broadcasting, in order to ensure the continued efficient use of these bands for broadcast media content distribution. 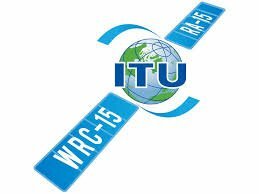 It is the view of the WBU that delegates to WRC-15 and ITU member countries give serious consideration and attention to this Statement. The World Broadcasting Unions International Media Connectivity Group (WBU-IMCG) mission is to identify, evaluate, educate, and where appropriate, implement solutions for all operational matters associated with transmission (collection and delivery) by any means and to any platform of video, audio, and broadcast-related data from any location where news, sports, special events and entertainment originate and/or is distributed. Operational issues considered by WBU-IMCG include transmissions/delivery of audio/video data using Internet Protocol (IP) and any media platforms. The WBU-IMCG will work neutrally with all relevant international groups, institutions, organizations and appropriate bodies to achieve these ends. By doing so the WBU-IMCG reflects one of the core aims of the WBU by supporting the needs and requirements of broadcasters around the world. For further information about WBU-IMCG, please visit the WBU-IMCG website here.